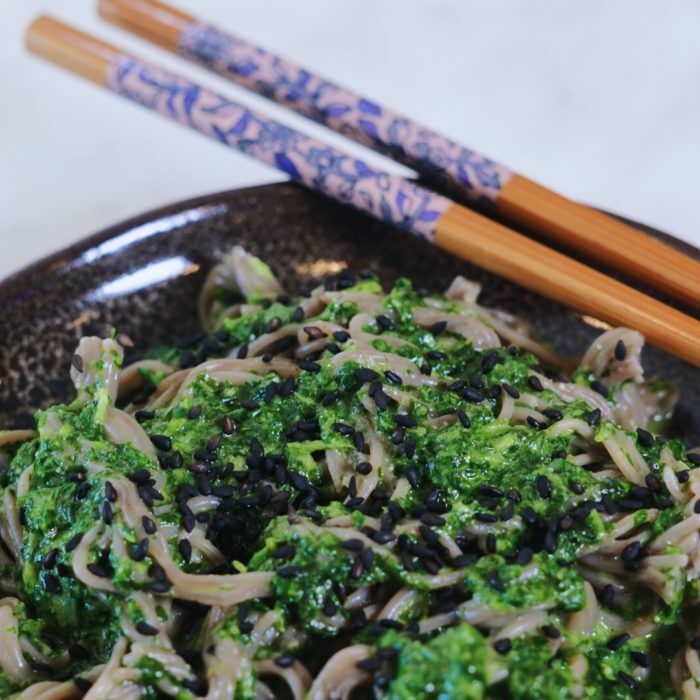 By using different kind of herbs and spices I thought it would be fun to make an Asian pesto... Also as my kids love ramen noodles I thought this would be a great combo! Turned out to be a winner! Cook the remake according to package. Meanwhile combine all the other ingredients in a food processor until nice and smooth. taste and adapt seeing accordion to taste (you may want to add some salt or pepper or even some chili flakes). For extra creaminess, you could always add 1/2 an avocado to it! Transfer the noodles to a bowl and combine with the pesto. Sprinkle some sesame seeds, shredded seaweeds and green onions and enjoy!